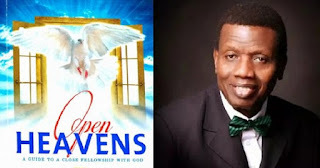 Open Heavens [12 February 2019] The Power of Missions - Open Heavens Daily Devotional Messages, By Pastor E.A Adeboye. “Missions” refers to the means by which the Church of Jesus Christ proclaims the saving power of the gospel to all the nations of the world. “For this purpose the Son of God was manifested, that he might destroy the works of the devil. He came to destroy the works of the devil through the salvation of souls, all-round healing, deliverance, breaking of yokes, and by miracles, signs and wonders. 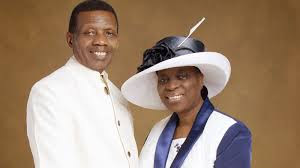 I therefore decree, that every work of the devil in your life shall be destroyed today by the power of God in the Name of Jesus. Pray for all the mission fields of the gospel of Jesus Christ around the world: that the power of the Holy Spirit will bring to life the reality of the good news being proclaimed.